Rachel Davidson is one of 31 women nationwide selected for the 2015-16 ELATE at Drexel program. 12:46 p.m., Sept. 2, 2015--Rachel Davidson, professor of civil and environmental engineering at the University of Delaware, is one of 31 women nationwide selected for the Executive Leadership in Academic Technology and Engineering (ELATE at Drexel) program’s Class of 2015-16 fellows. ELATE at Drexel focuses on increasing leadership and resource management skills among women faculty in science, technology, engineering and mathematics (STEM) fields. Participants are expected to contribute to institutional initiatives as they expand their leadership skills. 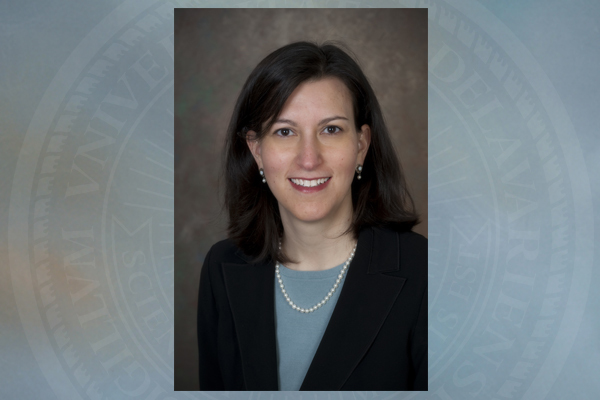 Davidson was also recently named interim associate dean for faculty affairs in the College of Engineering while associate dean Pam Cook is on sabbatical. Nationally, dual-career couples have become quite common in higher education. According to a survey by Stanford University’s Clayman Institute, 72 percent of the full-time faculty at U.S. research universities have partners working outside the home, divided equally between academia and other sectors. Of the faculty surveyed, 10 percent were “trailing spouses” with their partners. Davidson’s participation in ELATE is supported by the College of Engineering, the Office of the Provost and UD ADVANCE. Davidson received her bachelor of science degree from Princeton University and her master’s degree and doctorate from Stanford University. She joined the UD faculty in 2007 following faculty positions at the University of North Carolina, Charlotte, and Cornell University. Her primary research interests are in risk analysis and disaster research, and she is a core faculty member in UD’s Disaster Research Center. Davidson is a fellow of the Society for Risk Analysis, and she served as president of that society from 2010-11. From 2011-13, she was chair of the executive committee of the American Society of Civil Engineers (ASCE) and the Technical Council of Lifeline Earthquake Engineering (TCLEE). ELATE at Drexel is a core program of the International Center for Executive Leadership in Academics within the Institute for Women’s Health and Leadership at Drexel University College of Medicine in Philadelphia. The year-long program is launched with online assignments and community-building activities, includes three week-long, in-residence sessions during the year, and concludes with a symposium organized around the participants’ institutional change projects. For more information on the ELATE curriculum, facilitators, and participants, visit the website.